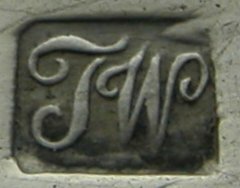 Thomas Wallis II is often confused with John Wren II. 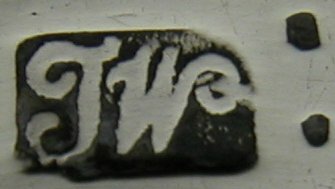 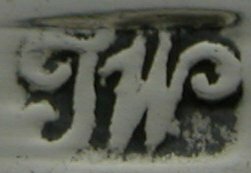 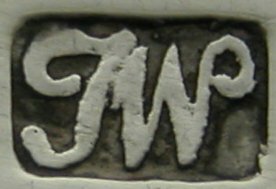 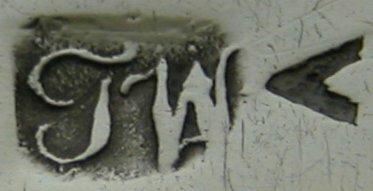 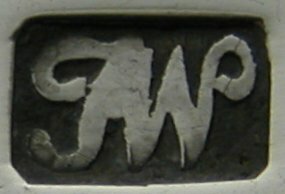 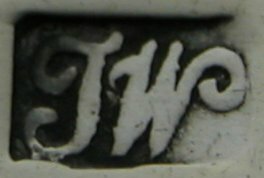 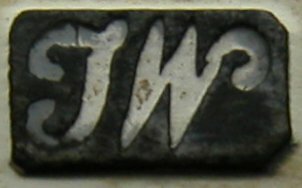 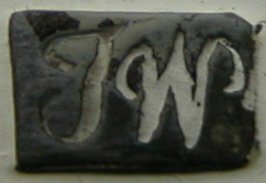 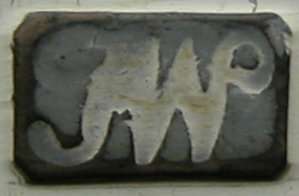 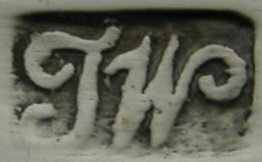 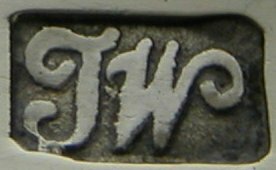 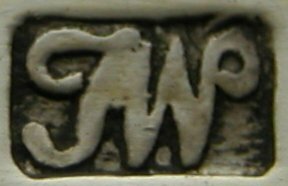 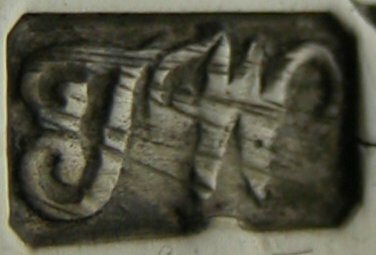 Jackson's does not refer to Thomas Wallis II but shows a mark that looks very similar to Thomas Wallis's, attributing it to John Wren II with a question mark against it. 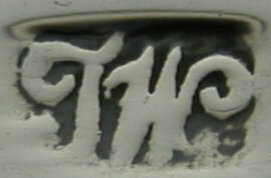 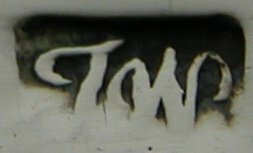 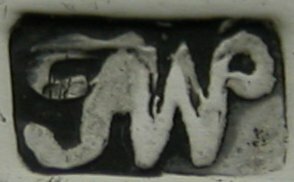 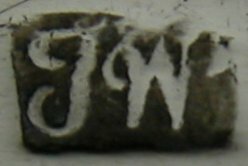 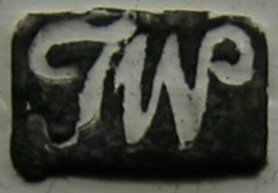 Grimwade records John Wren II as a spoon-maker and his mark very clearly has a pellet between the I and the W and the I actually looks like an I. John Wren II was also earlier, his first mark was entered in 1777, and he was only known to be working until 1795. 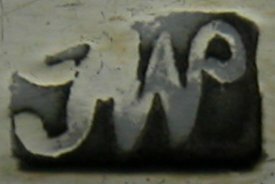 I have never seen any sugar tongs made by John Wren II. 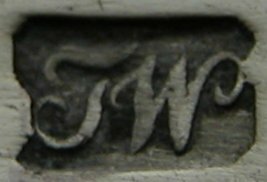 All of these marks I have attributed to Thomas Wallis II. 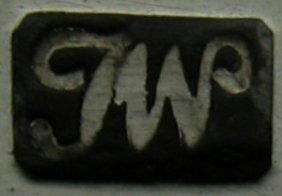 1778 - 1780 (this mark is from a pair of cast tongs, dated c1780). 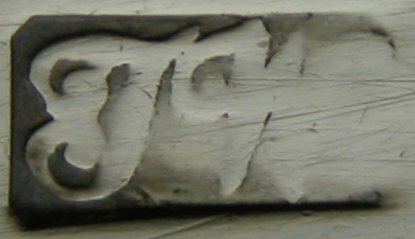 1780 - 1784 (this mark is from bright cut tongs marked with the Lion Passant & maker's marks only, dated c1784). 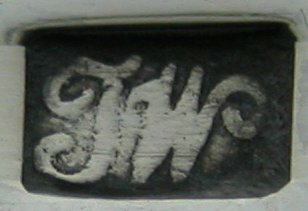 1785 - 1786 (these marks are from tongs with the incuse duty mark).